Metal and wire dog crates are the most common containment system for dogs – they are cheap, sturdy, portable, and easy to clean. Yet, because such dog crates are so simple to produce, low-quality brands have invaded Amazon and shops alike. 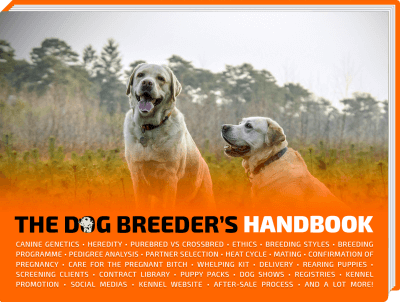 This article is here to offer some guidance to buy the right wired crate for your dog – regardless of its breed, size, and age. Crates are great for housebreaking, training, and safety while you are running errands. Make sure you focus on the right features that will make your life easier. While some consider it cruel to crate their dogs, others think it instills a sense of security in the dogs, while you’re training them. To be fair, if you are using the right kind of crate to train your dog, it could be more of a blessing than a curse to your pooch. 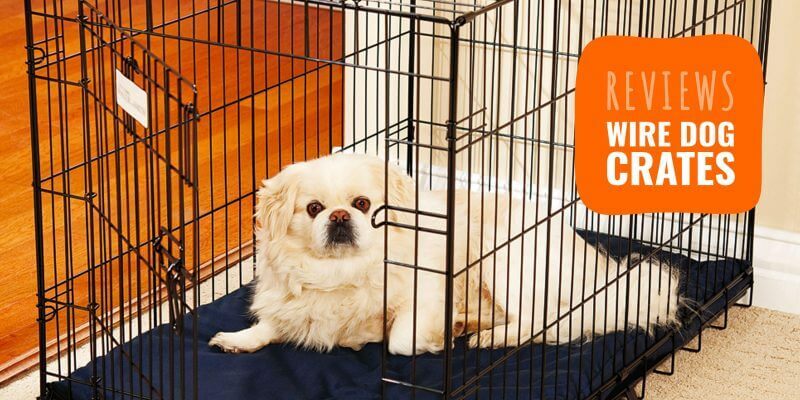 Here are a few pointers on how to get your dog the perfect wired crate without making it feel intimidated, scared or aggressive. You want to make sure that your dog can comfortably stand inside the crate without stressing their neck, back or legs. Really, comfort is the only key, so keep the height and size of your dog in mind before you try and crate them. Leaving enough room for the pet within the crate ensures that they look at it as a cozy inviting place, not a punishment. The crate should be an advantage for the health and safety of the dog, not a threat to its well-being and health. Another important aspect is to ensure that the crate is in the center of the household, where all the action is. If you crate the dog in an isolated corner of the house, it is going to feel like its being punished. If you want to make your crates easily portable, a foldable metal and wire dog crate is a great option. However, it is crucial to remember that these are neither sturdy nor advisable for heavy or large dogs. Folding crates work very well with smaller dogs and puppies and help a lot on carrying them around. These are especially useful when you want to travel with your dog but are worried about their safety in an unknown location. Generally, foldable crates are very easy to set up and pull down – they require no tools. A crate with a tray can save you a lot of time on cleaning and maintenance. All you have to do is pull out the tray and give it a nice wash instead of having to clean the entire crate every day. This serves best when you are potty training a dog indoors. However, it is best if you don’t leave food or water inside the crate for the dog – as it will inevitably encourage accident right after their meal. Leave the tray for them to do their business when you need to put them in for long hours. And limit the usage of the tray to just trying to toilet train them indoors. 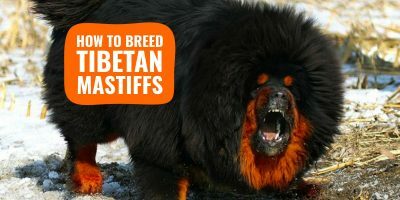 Heavily advised, if you have a larger breed of dog. Sturdy metal and wire dog kennels affect the mobility of the enclosure greatly, but they always a good idea. You could always choose a product that offers separate roller casters that can be attached to the crate when it needs to be moved. However, you won’t be able to carry them for longer travels. They work well as long-term investments and don’t bend or break, keeping your dog safe inside. For most people, this doesn’t make a difference. But when you’re trying to fit the crate into a set layout – you must consider these options. While most crates have a single door, some offer one door on the smaller pane and another on the wider side. Double door crates are good for traveling because they allow easy access to feed the animal or clean their trays out without disturbing them. You could carry these around without having to let your dog out. The single door ones are generally more compact and offer more subtlety of design. Dogs are intelligent creatures and you must pay due attention to the locking systems of the crate you’re buying. They can be pretty nifty with their paws and mouths so you want to get one that opens with deft use of fingers. Dogs can even learn to open the crate locks with their mouths over a period of time, after observing how you do it. So getting a complex lock that opens quickly and easily during an emergency but yet cannot be accessed by your dog is extremely important. If you cannot open the lock easily and within seconds, it is not a good idea at all. You need something that is not a hindrance during an emergency. This is an important feature of a crate. For those looking to buy crates that offer better mobility, there are some things to be mindful of. Either get one with roller casters or get a foldable one. Most brands offer roller casters as a separate attachment for larger and stronger crates. 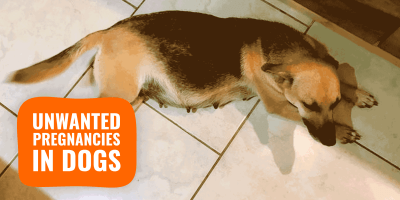 If your dog isn’t too large, heavy or aggressive – there are some products on the shelf that offer decent durability and are foldable into a flat pack as well. Honestly, if we lined up fifty wire crates in front of you, I bet you would not see much of a difference. Trust me, we would not either. It’s just that without knowing what you need, they all look the same. Yet, we’ve spent time reviewing the absolute must-buy items if you are after a wire crate. So, without any further ado, here are the most recommended wire crates for dogs. Available in a range of sizes, right from 18 inches to 48 inches and a choice of colors, Midwest even makes crates in single and double door options. For those looking to be spoilt for choice – this is your answer. This also has a rare combination of features with its sturdy yet portable design. It comes with roller feet and a handle to pull the crate as well as a tray! This one really checks all the boxes and parameters. Available in six sizes and both single and double door options, the Amazon Basics crate is a super contender too. If you’re looking to optimum safety, this is the one for you. It comes with two latches, inside and outside to ensure that your pet stays in safe and secure. 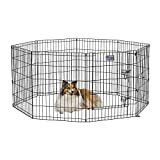 Its sturdy metal construction also provides a great deal of comfort, knowing that your dog is in a secure enclosure. The good part is that this one folds flat and can be carried around too. It doesn’t come with rollers, so you will be carrying it around. But it does come with a tray, so maintenance is taken care of. Double latches and a step-through door access, these are great as enclosures and crates both. Not mobile, these enclosures from Midwest are best for when you want to put your dog in one location only. They are sturdy and use up a 16 feet space with heightened panels – making them a good option if you’re planning to leave the dog for a longer duration. These can be used outdoors as well because they come with a special rust-proof coating and easily accommodate dogs as heavy as 40 pounds. So, perfect for your medium sized pooch. Available in a choice of color options Iris sells these in two sizes – big and small. It may not be very helpful for large sized dogs, but a good option for puppies and smaller ones. These crates come with sliding doors and provide a space of 6.2 feet, which is more than enough for small dogs and puppies. Great training tools, you could use these to potty train your dogs or even keep them safe while you work. These crates also feature a removable tray and a removable mesh roof. With removable dividers and multiple size options, this one’s as useful as it is convenient. 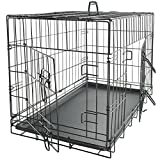 High tensile, heavy duty steel goes into making this sturdy wire crate that ensures that your pet stays safe and secure. What’s more is that this one is also foldable. So you can easily carry it when not in use. The makers have put a lot of thought into designing this, ensuring that it is most comfortable for pets, while they are being trained in it. A no-tools set up also makes it a convenient buy. This lovely pastel colored crate is covered in powder blue and is a darling possession to keep within your home. A single door system with a complex lock to ensure pet safety, Carlson has outshined itself and gone one step further. These aren’t available in many sizes and are mostly used to train and keep smaller dogs. They come with a tray pan and are very easy to clean. Not only that, these are marvelously simple to set up or pull down, no tools required. Simply fold it into a flat piece and carry it with you wherever you need it. This crate is available in two sizes – small and medium. However, as their name suggests, the main selling point of Richell Crates lies in its ability to expand to 11 different sizes in width. That is a handful! 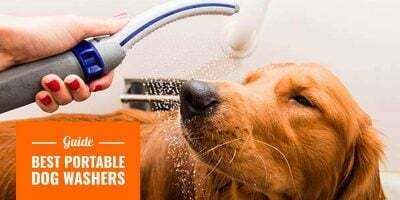 Apart from this exciting feature, which lets you use the same container as a crate as well as a playpen for smaller dogs and pups, this product has some more interesting things. It also comes with a pull-out tray, which is also – you guessed it – expandable! A side door gives you easy access into the crate to feed the dogs or clean the trays out. Go all vintage-classy with this wooden wired pet crate that can also be converted into a gate for your adorable pooches. The look and feel of this crate is very old school pet store and makes you travel back in time. 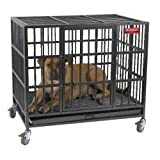 It is a great option if you’re going to keep your pet crated indoors. With a plastic removable tray, it takes the hassle of cleaning off your hands to a great extent. Merry Pet offers these in two sizes, medium and large, easily accommodating pets that grow up to three feet large. Carlson brings to you a simple, subtle, solid and sturdy range of pet crates – right from sizes small and medium to extra large. These are one of the few crates that are foldable yet durable with secure all steel bars. This makes them easier to carry around and transport. It even comes with a washable pan that can be removed through an access door (available only in some designs). A great thing about this crate is that it cuts the bulk with its sleek and compact design that lets you move it around or sit in the house without taking up too much space. It also gives your pet a sense of security, instead of being overly confined. Available in two sizes, medium and large, this one is super sturdy and strong. 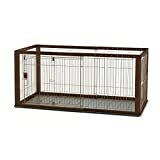 The ProSelect Empire dog cage comes with reinforced 0.5-inch diameter steel tubes and 20-gauge steel apart from strong latches. It is heavy, but it comes with a separate set of rollers, which you can attach if you want to move the cage around. 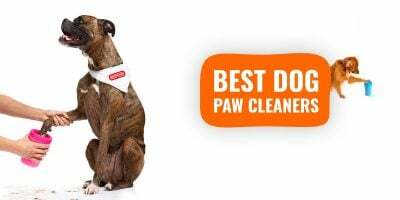 Works well in both – indoors and outdoors – it can easily contain a large dog without confining the animal, leaving enough space for the dogs to comfortably lie, sit, stand. This all-weather crate comes with a removable pan for easy cleaning.